Bitumen Decanter is Melt Bitumen from Drums and Store it in the Storage Tank after that you can transfer it in your Storage Tank or Tanker. 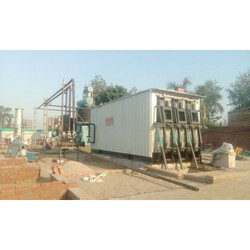 The Bitumen Decanter Machine from KESAR is a high efficiency, reliable and productive decanting unit custom designed to deliver the best in class productivity and reliable performance. These decanters are specially designed to reheat and melt bitumen packed in drums.Designed for use in association with bulk storage tanks the melted bitumen is automatically transferred from the decanter reservoir to the storage tank during the decanting process.These units are designed to seamlessly integrate to existing installations such as an asphalt plant or bitumen binder production plants. For Todays Requirements, we have developed the most performing drums melting unit actually available on the market. Reliability, user-friendly and high efficiency are the key features of these machines, widely sold to all major road contractors, most of which owning more than one unit for each of their different job sites. The Bitumen Decanter from KESAR is a high efficiency, reliable and productive decanting unit custom designed to deliver the best in class productivity and reliable performance. These decanters are specially designed to reheat and melt bitumen packed in drums.Designed for use in association with bulk storage tanks the melted bitumen is automatically transferred from the decanter reservoir to the storage tank during the decanting process. These units are designed to seamlessly integrate to existing installations such as an asphalt plant or bitumen binder production plants. The Bitumen Drum Decanting Unit from KESAR is a highly efficient, reliable and productive decanting unit custom designed to deliver the best in class productivity and reliable performance. 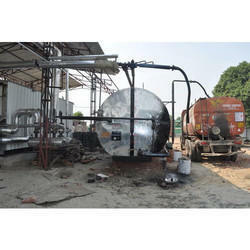 These decanters are specially designed to reheat and melt bitumen packed in drums. Designed for use in association with bulk storage tanks the melted bitumen is automatically transferred from the decanter reservoir to the storage tank during the decanting process. These units are designed to seamlessly integrate to existing installations such as an asphalt plant or bitumen binder production plants.Bitumen logistic is sometimes an issue, especially in those areas where an adequate supply of hot liquid product through conventional road transport tanks is not ensured. Here most end users are consequently supplied with solid bitumen in drums, but then they have to melt bitumen back into liquid form prior to usage or storage. For Todays Requirements, we have developed the most performing drum melting unit actually available in the market. Reliability, user-friendly and high efficiency are the key features of these machines, widely sold to all major road contractors, most of which owning more than one unit for each of their different job sites. The Drum Melting Unit has been specifically designed to guarantee a very efficient melting of bitumen drums prior to usage. 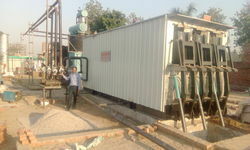 We have two models available: with a melting rate of about 5.000 and 8.000 kg/hour. 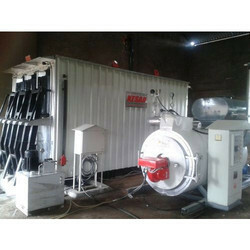 This equipment is designed to continuously melt bitumen contained in standard drums of 200 kg/each, so to enable a constant supply of bitumen. If needed, a suitable hot oil heater can be installed on the same skid to provide the required hot oil for the melting process and make the unit independent from external hot oil sources. KESAR Drum Decanters and Melters are primarily used with asphalt mixing plants in territories where bitumen in bulk is either not available or regular supplies are unreliable and bitumen stored in drums is used as an alternative. KESAR decanters are designed for ease of operation and provide the most efficient system for ensuring a high out put of drummed bitumen.